Also: What's up in Washington? Where will Kevin Love go? How will the little cap space left be used? 1. If the Sixers are done, how should we look at their offseason? Sixers' uncreative, one-dimensional use of max cap space didn't address roster imbalance that doomed Philly against Boston—nor did it add valuable draft assets or longterm talent. Brutal. That tweet came before the Bjelica news, and that move is significant: He is a better and more versatile defender than Ilyasova. If Bjelica and Chandler are essentially replacing Belinelli and Ilyasova, the Sixers will sacrifice some spacing in order to be stronger defensively in the playoffs. Johnson being willing to take the minimum rather than holding out for the room exception was a pretty big deal, and improvement should be expected from Ben Simmons, Joel Embiid, Dario Saric and especially Markelle Fultz. Philadelphia might win more than the 52 games it managed last season, and a trip to the conference finals -- or even the NBA Finals, though the Boston Celtics are surely the favorites -- does not seem out of the question, particularly with LeBron James out West. At the same time, Detrick is certainly not the only Sixers skeptic out there, and coach (and temporary head of basketball ops) Brett Brown said on draft night that they were "star-hunting," setting an expectation that acquiring someone like James or George was realistic. With a core as young as theirs, you can reasonably argue the money they have committed to Redick and Chandler -- and even Johnson last season -- would have been better used on younger players with more upside. It is easy to understand Option A being LeBron, but what about making aggressive offers for guys like Aaron Gordon, Fred VanVleet, Marcus Smart or former Sixer Jerami Grant? Personally, I'm not going to kill the GM-less front office for doing what it did. I loved the way Mikal Bridges would have fit with this roster, but I also loved the logic behind acquiring a 2021 unprotected Miami Heat pick in exchange for swapping him for Zhaire Smith on draft night. Johnson and Bjelica were signed to favorable contracts. I am lukewarm on the Chandler deal because he didn't come with a first-round pick attached, but executives are loathe to give up first-round picks. The Sixers have essentially kicked the can down the road for another season, but they have done so while retaining important role players, drafting a high-ceiling wing and adding future assets. The offseason was not a home run, exactly, but part of that is because expectations were so high. By avoiding long-term deals and getting more versatile for this coming season, they have put themselves in a position to have a successful 2018-19 and be in the mix for a max-contract guy next summer. Not bad. 2. How will the Lakers play? In light of ESPN's story on Thursday about the Lakers wanting to make LeBron into more of a finisher than a playmaker, it's worth revisiting a topic we've addressed elsewhere: How will these pieces fit together? And, more specifically, what kind of system will coach Luke Walton install? 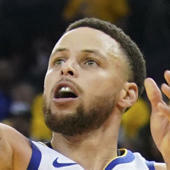 ESPN's Baxter Holmes wrote the most revealing profile of Walton in February 2017, reporting that when he arrived in Los Angeles he wanted his team to pass 300 times a game, the same benchmark Steve Kerr challenged the Golden State Warriors to hit. Walton worships the 1986 Celtics and reveres the 2014 Spurs. He is not a fan of isolation basketball and he is more interested in ball movement than hunting mismatches. If you wanted a fast, free-flowing, beautiful brand of basketball, would you sign Lance Stephenson and Rajon Rondo? Is James, who rests during games and will turn 34 two months into his 16th season, about to embrace running and gunning now? I dig the idea of relieving James of playmaking responsibility -- he is an incredible finisher and has become a reliable floor spacer -- but ideally that would happen without sacrificing shooting and defense elsewhere on the roster. The Lakers are in a strange place, and that's without even getting into all the Kawhi stuff. I can get behind their reported vision for the team, but I'm not sure if James will embrace it and don't think they have the proper supporting cast for it … yet. The Washington Wizards have added Dwight Howard, Jeff Green and Austin Rivers this offseason. No fan base is more dejected than theirs. Individually, each move is sort of defensible. Howard only cost them the mini-MLE ($5.3 million), and after Nerlens Noel chose the Thunder over them, they needed to sign someone to avoid starting Ian Mahinmi at center. Rivers will be in his proper role as a combo guard off the bench, and he makes them a bit deeper than they were last season. Green, as inconsistent as he may be, was good value at the minimum for the Cavs and should be the same in Washington. As a collection, though, this is a bummer. How are the Wizards primed to do much more than they did last year? John Wall should be healthier and it is possible that rookie Troy Brown will help, but Washington still has bigger-picture concerns. It has not been a fun, cohesive group for a while now in terms of chemistry, and neither has it been more than the sum of its parts on the court. Adding Howard's personality to the mix feels extremely dangerous -- even if you're willing to ignore the fact that he doesn't really run the floor anymore and still demands post touches, it is impossible to explain away the fact that two teams have dumped Howard in the past two offseasons, taking on the bad contracts of Miles Plumlee and Timofey Mozgov, respectively, to be rid of him. The good news: Washington didn't sign any long-term contracts. If any of these guys are poor fits, they'll be gone relatively soon. The bad news: It's not as if the Wizards are going to have flexibility coming up. Even if they renounce everybody next summer -- Kelly Oubre and Tomas Satoransky included -- they will be about $11 million over the cap. Wall, Bradley Beal and Otto Porter will make a combined $92.1 million in 2019-20, the final year of Mahinmi's albatross contract. This is why the concept of trading Wall, Beal or Porter isn't crazy. All three of them have proven worthy of their high draft slots and they work well together, but management has failed to provide them with the right kind of supporting cast. Years of trading away first-round picks, the Jan Vesely selection, the Mahinmi contract, the Andrew Nicholson contract -- all of this stuff matters. If Washington had a bunch of up-and-coming players on cost-controlled deals, it wouldn't have had to settle for stopgap veteran rentals. It could have had a better summer, sure, but this summer was set up by the mistakes of past ones. My favorite destination of the bunch is Oklahoma City, where he could play with his college roommate Russell Westbrook and make the Thunder way more interesting. It's just so difficult to construct a deal that actually makes sense. OKC would be crazy to include Steven Adams in any potential trade, and let's say you buy that the Cavs would accept an offer of Carmelo Anthony, Terrence Ferguson and a first-round pick on the condition that Cleveland would buy Anthony out -- do you really think that the Thunder would be willing to pay Westbrook, Paul George, Love (assuming he picks up his player option) and Adams a combined $122.6 million in 2019-20? They are heading for at least a season of luxury-tax hell as it is. Love for C.J. McCollum has been discussed on the internet for so long that it sort of bores me. This would diversify the Blazers' offense, but I don't necessarily see them trading a 26-year-old for a 29-year-old when they are more than one move away from championship contention. Minnesota is by far the funniest possible destination, especially if it was a redo of the 2014 Love-for-Andrew Wiggins swap. The Spurs make sense for his style of play, but I doubt they'd want to play him next to LaMarcus Aldridge defensively. Maybe Milwaukee could sign-and-trade Jabari Parker, but those numbers will be tough to crunch because of base-year compensation. I'm not saying the Cavs won't trade Love or suggesting that they shouldn't. They need to be terrible for two seasons to avoid sending a first-round pick to Atlanta, and dumping him is the best way to get terrible. Trades are just tricker than you'd think based on how damn good he still is. 5. How will the few cap-room teams use their space? Free agency might feel like it's over, but there are three teams that have more work to do: The Sacramento Kings, Atlanta Hawks and Chicago Bulls. For the restricted free agents still in limbo, these are the teams that can actually sign them to offer sheets. For teams looking to clear salary, these are the teams that can take a bad contract in exchange for a pick. In a weird way, these lottery teams hold all the cards for the rest of the offseason. It's pretty clear that the Hawks and Bulls have no interest in using their cap room to sign players who will help them win games in the short term. Chicago still hasn't figured out what it will do with its own high-profile restricted free agent, Zach LaVine. Everybody expected the Kings to do something crazy, but they haven't done anything at all yet. None of these teams is necessarily in a rush. All of them, though, will use their space for something.